Today I am going to review a facial foam from Ethicare Remedies —Ethiglo Skin Whitening Facial Foam . Ethicare Remedies is a Pharmaceutical company of India . They make Bio Cosmetics which are biologically active and safe . They have several skin care and hair care products for all skin type . I have already used and reviewed some other product from this brand in my blog . Its a creamy Skin whitening face wash which helps to reduce blemishes and lightens the skin tone . It has mini globules which helps to improve complexion and skin tone . Kojic acid , Lactic acid , Glycolic acid , Glycerine , perfume . The product comes in a tube from which the foam can be easily squeezed out and used . The product is in form of white creamy foam with mini granules which acts a scrub and helps to remove impurities and dirt from face . It lathers well and has a nice fragrance . It thoroughly removes all dirt and oil from face and one feels fresh after using this face wash .
1.Its a good cleanser suitable for all skin type . 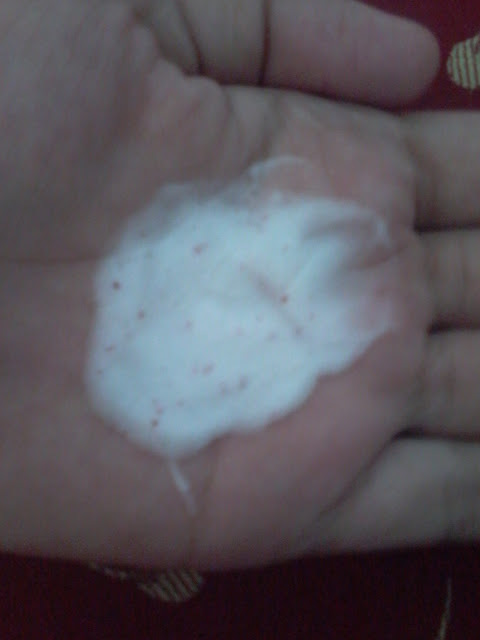 2.Its dermatologically recommended so safe for sensitive skin . 3.Product packaging is good and travel friendly . 4. Makes the skin clean and clear . 5.Has a nice fragrance . 1.Availability might be an issue as its available on online stores . 2.Price bit more than other face wash available in the market . The product claims to reduce blemishes and improve complexion and skin tone . Since my skin is oily and this facewash has mini globules which acts as a scrub I found it too good for my skin . Since I have not used it for a long period of time I cannot say whether it improves skin tone or not , will update that after using it for some more time .